Learn what to do when you've forgotten your password. 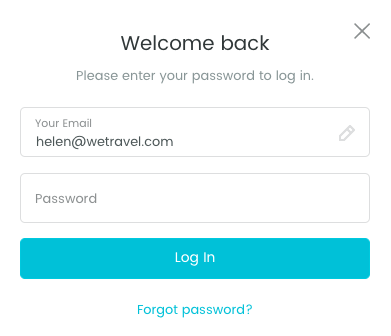 You can easily reset your password by clicking on "Sign In", entering your email, clicking "Next" and there clicking on the "Forgot password?" link. It will send you an email with a link to reset your password. If the link is not working for any reason, please click on "Forgot password?" again and make sure you use the link in the latest email sent to you.